Nice to meet you, where you been? I can show you incredible things. Get your daydreams/red lipstick/classic things that you like ready...Taylor Swift is coming! 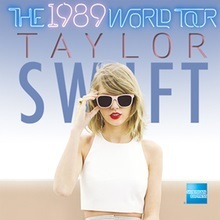 So far the 1989 Tour is a global sensation, shows have sold out to tens of thousands across the US, UK, and Canada. It's no wonder why, '1989' the album, has sold over 5 million copies in under 1 year and both Shake it Off & Blank Space killed it on YouTube with 1 billion views each and counting. Wildest Dreams' is the latest music video release from 1989. The songs aren't the only reason to see 1989 live, throughout the tour, Taylor has had over 50 fellow celebrities & singers join her on stage including the likes of Alanis Morissette, Mary J. Blige, Lorde and John Legend, who knows what magical duets she has in store for us Aussies... My money is on Vanessa Amorosi for Melbourne. Ticket prices vary by states/admission type and 5 VIP packages are available. Click here to book through Ticketek. Taylor performing 'Blank Space' at the Brit Awards in 2015. When: Nov 28 - Dec 12. Where: Melbourne - AAMI Park. Sydney - ANZ Stadium. Brisbane - Suncorp Stadium. Adelaide - Adelaide Entertainment Centre.